Located in the Spring Hill area of North Tampa, the Class A Spanish Lakes Apartments site is convenient to major employers, schools, shopping destinations and recreational activities. State Route 52, the primary East-West artery through Pasco County, provides immediate access from the site to Suncoast Parkway. The site is “shovel ready,” fully permitted and entitled. 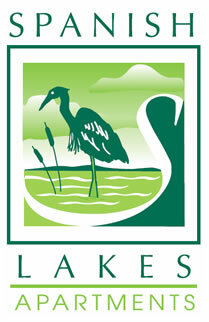 Spanish Lakes Land Company LLC was organized to acquire an approximately 16.25 +/- acre tract of land and to subsequently construct and operate Spanish Lakes Apartments, which will be a 140-unit luxury apartment complex. 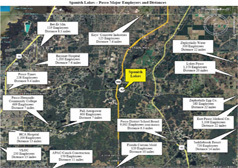 The project site is located in Pasco County, Florida, which is a part of the greater Tampa market. 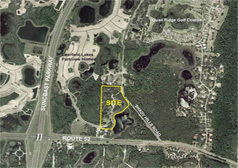 Specifically, the site is located along State Route 52 just east of the intersection with Suncoast Parkway. Spanish Lakes Apartments will consist of seven two-story buildings with each building containing 20 apartment units, for a total of 140 units. The complex will also include a clubhouse, pool and extensive landscaping in a park-like setting. The entire project is designed and will be constructed to a standard that will permit a future conversion to condominiums. State Highway 52 is a relatively new six-lane highway which serves as a primary east/west artery through Pasco County and provides immediate access from the complex to the Suncoast Parkway (State Route 589). The Property is approximately 10 minutes from I-75 and 25 minutes from Tampa International Airport.